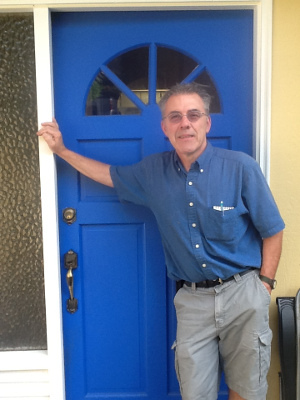 Mel Parejo is a general contractor with a lifetime of experience in construction. His focus is primarily interior and exterior painting. He also offers a variety of additional services for home remodeling and restoration. Mel's skill and efficiency provide quality, affordable service. Excellent work, tidy reliable crew. We have used this business several times over the years for interior and exterior painting, hardwood floor installation, and bathroom remodel. We have always been pleased with their high standard of workmanship and by the friendliness and excellent work ethic of the entire crew. We strongly recommend this business to our friends and neighbors. Our experience with Mel, his crew, and the results is the best we've ever had with any contractor of any kind. He explained every step, they were very detailed in the prep and the painting, and our house truly looks better than when it was new. We are very happy to recommend Mel Parejo. Mel painted my cedar sided home in 2004 and it looks great ten years later. Since then he has painted my entire interior, given my kitchen and bath complete makeovers, and built a flat ramp over my porch steps (for my aging dog, and eventually for me). Mel and his helpers are very skilled, efficient, and a pleasure to do business with.